Yes indeed, our favorite B Movie stars, Ian Ziering and Tara Reid had the best reactions when they got the call for ‘ Sharknado.’ Laugh if you want but the franchise stars are now gearing up for the fifth installment. “ Sharknado ” debuted in 2013 to lots of social media fanfare. It trended online for hours, with viewers and celebrities alike chiming in on the absurdity of the shark and tornado premise. Now four years later, the surprise hit is still going strong: Syfy channel is debuting the fifth “Sharknado” installment in the franchise. 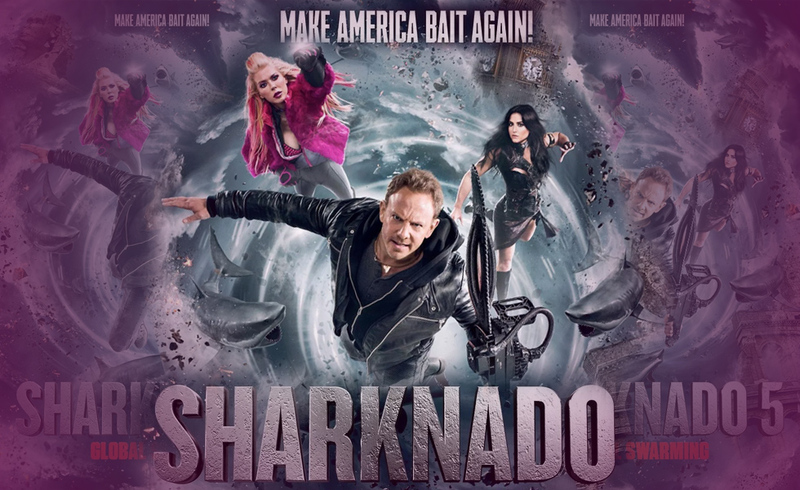 Dubbed “Sharknado 5: Global Swarming,” the movie follows Fin (Ian Ziering) and April (Tara Reid) all over the world, including London and Rome, fighting sharks and trying to survive. With the tagline “Make America Bait Again,” the new film explores what happens when the storm goes global. And following tradition, it features a slew of guest appearances, including Clay Aiken, Bret Michaels, Olivia Newton-John, Gilbert Gottfried, Chris Kattan, Fabio and more. “Sharknado” turned out to be one of those “so bad it’s good” kind of movies and both Ziering and Reid were grateful. The success of the franchise helped thrust them back into the spotlight. Ziering says it’s helped him stay “topical and relevant in an industry that’s very superficial.” “It’s opened so many opportunities and doors again for me,” added Reid, who memorably starred in “American Pie.” “For a long time, I was playing the high school girl or college girls. 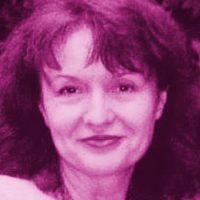 I never had the chance to play a mother. But now I’ve had the chance to play a mother, people are seeing me in a different light. I have six films coming out this year and I’m a mother in all of them. I think this helped me break that barrier.” The fifth movie definitely leaves the door open for a sixth. But “Sharknado” has already been all over America, the world and even outer space, so where could it touch down next? Even Ziering and Reid have no idea what the scriptwriters will come up with. “It’s going to take some alcohol-induced creativity,” Ziering joked. “ Sharknado ” Falls In The Same Genre As “Animal House” And “Caddyshack”, Mindless Good Fun! Movies made so ridiculously bad have long been a Hollywood tradition and some without intending to but with such bad acting and poor props they ended up being hilariously absurd. Obviously, this one was made for good fun and found an audience. You just never know what movie will become addictive. This is everything somehow turning out ok. Since the card was pulled inverted, I believe the producers of these “Sharknado” movies are just as surprised as anyone of their success. This is having the rug pulled out from under you or being blindsided. I feel this inverted pull supports my statement above.